Very Nice!! in this changing world the thing which never changes is holy name of the Lord. A very inspirational article indeed! 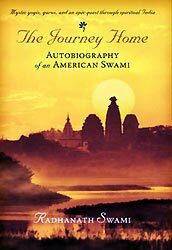 I was deeply touched by the last paragraph in which Radhanath Swami mentions the fleeting nature of this world and how there is only thing which will not change and that is our eternal relationship with the supreme lord krishna. in this world things are constantly changing. 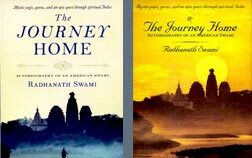 Radhanath Swami reveals how in due course of time we will grow older; our children will be married and gone, we will be retired. We will lose our loved ones and we too will be nearing death. At that time we will realize that during all these years one thing hasn’t changed. And that is the Holy Names of the Lord. The Holy Names are our connection to our eternal relationship with God in the spiritual kingdom of God. By sincerely chanting and connecting to God here in the material world, we are confirming our life after death in the spiritual abode of God.So nicely explained by Radhanath Swami Maharaj ! Hare Krsna ! Very nice article explaining the glories of Holy Name….. Thank you for elaborating on the glories of the holy name and hope the whole world takes to this process. “Chanting the Holly Names with love and sense of urgency”-the key to derive maximum benefit of chanting Holly Names. I pray for the mercy at the lotus feet of Maharaj ji and senior vaishnavas to understand the urgency and develop love for Krishna. yes the holy name is the only reality that will accompany us to our next destination. harer naam is the only dharma for kaliyuga. thanx for sharing wonderful article. Thank you Radhanath Swami for showing us the temporary nature of material relations versus the spiritual eternity of the Lord’s holy names. Thank you for sharing this great article on the glory ofthe holy names. The Holy Name is our life and Soul. Thank you Swamiji. 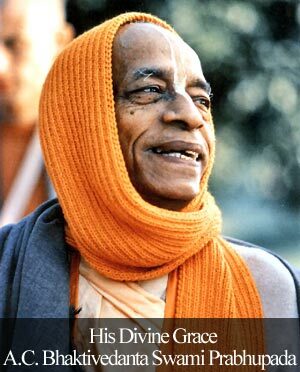 Thank you for emphasising on the importance of chanting the holy name. Nice incident! Thanks for sharing. Really great article by Radhanath swami.When we cannot concentrate on the Holy names then in it old age what we are going to do with lot of troubles in health.But it is the only shelter when no one is with us.Thank you swamiji. Yes the things of this world mat come and go but our eternal relationship with our Supreme Father Sri Krisha will never change.Thanks for nice article. Hari naam is the only wealth in this age. Holy Names of Lord are solution of every problem. I pray to devotees and lord for mercy so that I can chant holly names with love, sincerity and with a feeling of urgency. The most wonderful solution – the chanting of the holy names. wonderful article.thank you radhanath maharaj for sharing this article. H.H Radhanath swami Maharaj has provided wonderful tips and techniques how one should chant the mantra better and derive maximum benefits jai Hari bol !!! !